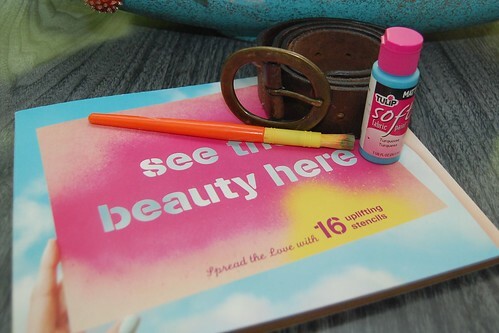 Recently Chronicle sent me a book called See The Beauty Here: Spread the Love With 16 Uplifting Stencils. I have been waiting for just the right project to bust out one of the stencils on and then today I ran across an old leather belt. 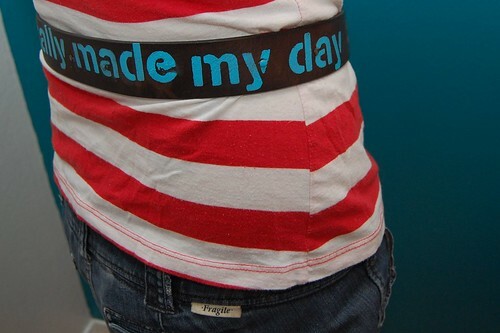 With a bottle of Tulip Fabric Paint my belt is still old, but has a brand new look. 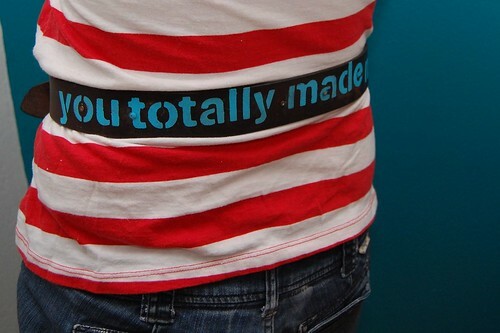 Line your stencil up on the belt and using a brush and as little fabric paint as possible get your design on. Tulip Soft Fabric Paint not only works great on fabric it goes on leather flawlessly. All that is left to do is let the paint dry and try on your new spiffy belt! 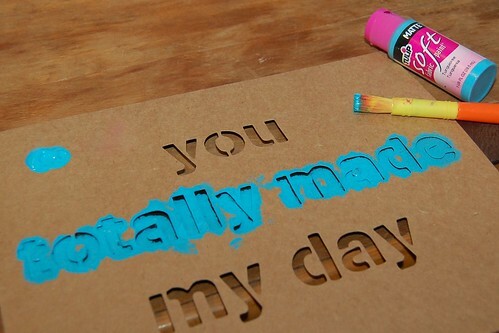 Did you use a stencil brush? I can never do stencils w/o major bleeding under the stencil design. I used a regular paint brush. 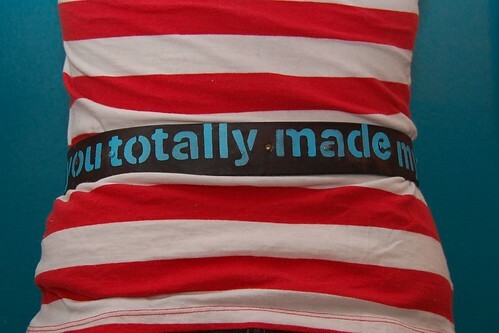 Thanks for the great leather belt, please check http://ediscount.co.in/product/belt-for-men/ and other products as well.